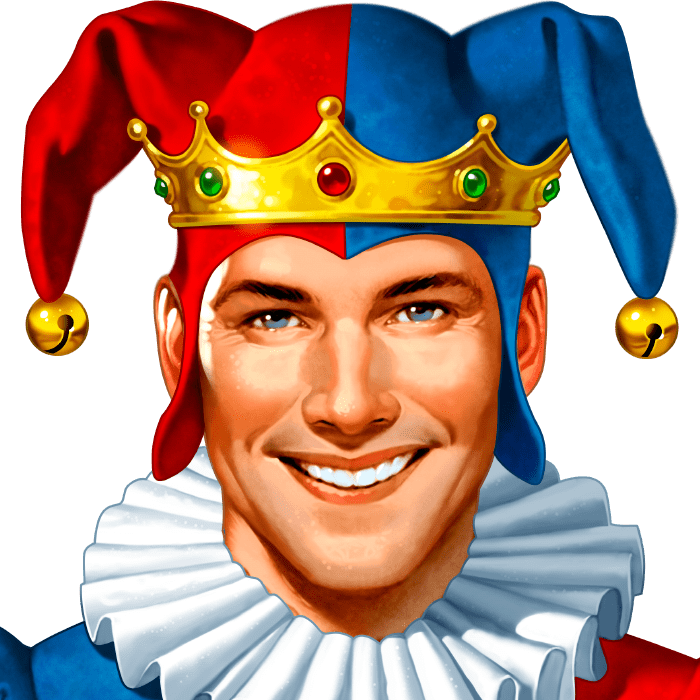 Jester’s Crown takes you to the Middle Ages, a time when monarchs ruled their kingdoms, jesters entertained at court and beautiful princesses waited to be conquered. 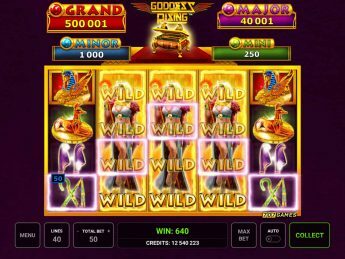 You are invited to the coronation of the new ruler: Let the dice roll to the sound of a fiddle – if the goddess of luck likes you, you can win lucrative free games as well as an incredible jackpot! At least three Scatter symbols (CROWNS) trigger twelve free games regardless of their position on the reels. 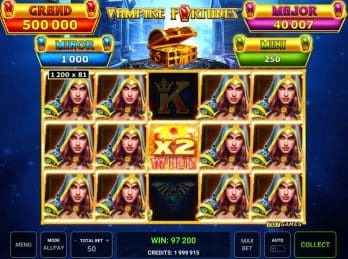 During the free games the JOKER appears wearing the “x 2” BELL HAT: He substitutes for all symbols except for Scatter and pays double line wins. 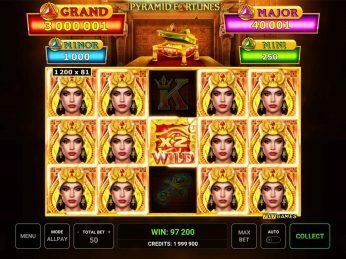 Moreover, during the free games only “x 2 JOKER” and Scatter symbols land on the middle reel. 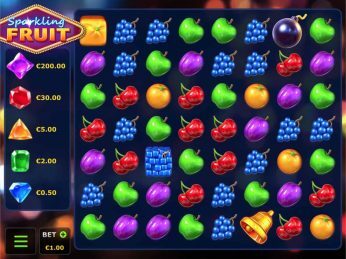 Three, four or five Scatters trigger further free games. When 20 JOKERS appear you win the progressive jackpot in Jester’s Crown! 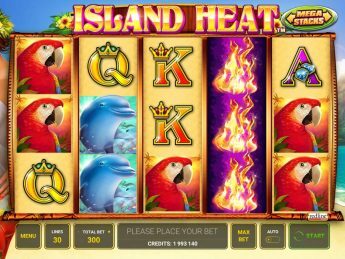 In the basic game you receive 50% of the jackpot if you place the maximum bet, during the free games you get 100%. If you bet less than the maximum amount you receive a proportionate win.